This project was the marriage of tattoo and street artists with Burton snowboards. The artists were given blank snowboards that they turned into original works of art. The boards were then shown in a traveling exhibit entitled Rides Of Passage. 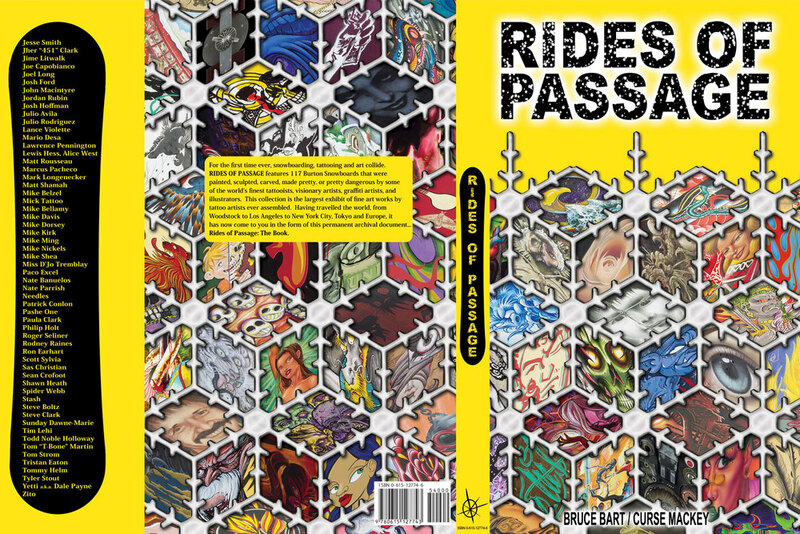 The Rides Of Passage exhibit was on display at different galleries throughout the globe. The project was capped with hardcover collection of the art. This project was the marriage of tattoo and street artists with Burton snowboards. The artists were given blank snowboards that they turned into original works of art. The boards were then shown in a traveling exhibit in major US cities, Europe and Japan. This is the book that collected up the entire project.